Santa Maria Tool is a complete Machine Shop Service that has been a family owned business in Santa Maria since 1937. Santa Maria Tool was founded by Robert Weber in 1937 and was located on S. Broadway where Arby’s currently resides. It moved to its new location on S. Oakley in 1967 where it was run by Robert’s son, Robert J. Weber. 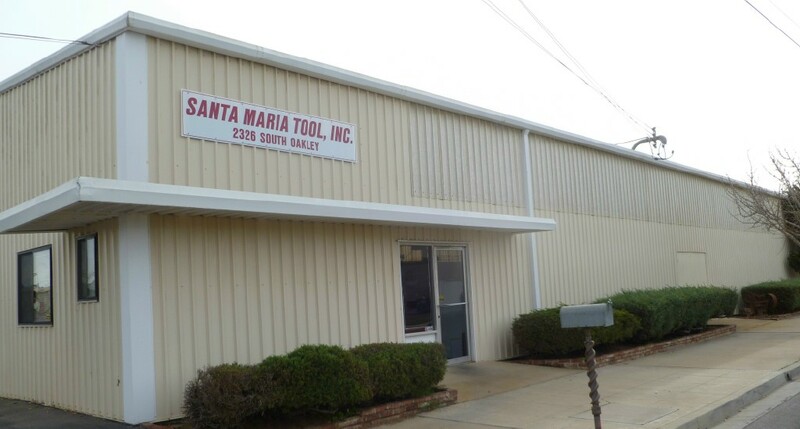 Santa Maria Tool is currently owned and run by Brian R. Weber (grandson of the original founder). Santa Maria Tool rebuilds equipment and repairs equipment in the following industries: oilfield, farming, mining, manufacturing, food production, fishing, transportation & maintenance. Our machine shop includes a hollow spindle lathe with a 12½” bore, 36” swing, CNC Milling Machine, Compressors & Rotating Equipment, 520A Hydraulic Band Saw, and the largest universal boring mill in Santa Maria and on the Central Coast. Services offered include: oil field threading, cutting and tool joint threading, machining collar sleeves, welding, metalizing, polishing, working and repairing large pumps, generators, drilling, grinding, mill work, lathe work. In addition to equipment repair, Santa Maria Tool also machines a variety of items. Santa Maria Tool offers on-site repairs when items are too large to bring to the shop in Santa Maria.